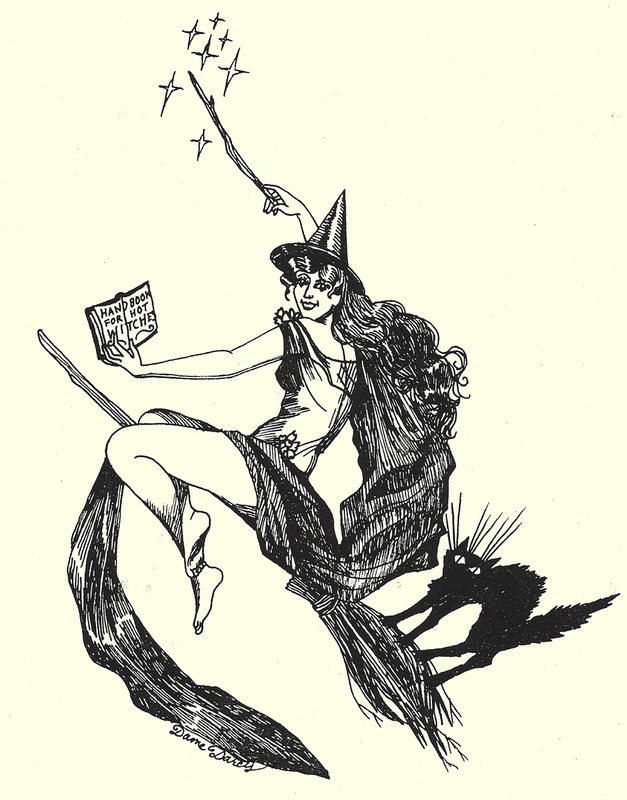 Bert Green Fine Art is pleased to present a one night show of drawings by Dame Darcy and a book release party for her new book Handbook for Hot Witches, for which these drawings are illustrations. The original drawings are available for sale at the event. Dame Darcy has exhibited worldwide and is the author and publisher of Meat Cake Comics, Gasoline, and Handbook for Hot Witches. She has lectured and shown her films at Lady Fest in Olympia in Washington and San Francisco; City of Women Festival in Ljubljana, Slovenia; London, UK; Tokyo, Japan; Porto, Portugal; and PNCA art school in Portland, Oregon. Columbia University includes her graphic novels Meat Cake and Gasoline in its library, where she has lectured on Egyptian hieroglyphics and stained glass windows in European Churches as the predecessor of modern, comic, sequential art. Dame Darcy currently works with a team of interns from Savannah Collage Of Art and Design (SCAD) in Savannah, GA as an independent contractor, to produce Paper Doll Dreams, a multimedia on line game based on Meat Cake Comics. There will be a one night only reception on Tuesday, October 30 from 5 – 8 pm. The drawings are available for viewing on the gallery website and by appointment at other times. This entry was posted in Openings and Events and tagged Arts, Bert Green Fine Art, Chicago. Bookmark the permalink.